Spring onion paratha recipe - Paratha is one of the favorite breakfast dishes which we like to have often. 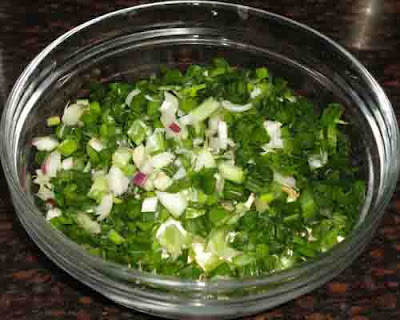 Spring onions are usually used in Indo-chinese cooking as a garnish. But we can also prepare delicious parathas out of the spring onions. Whenever I have a bunch of these green onions, I make parathas and zunka. Though I make some side dishes to serve with parathas, I personally prefer to have it with pickle, chutney and yogurt. 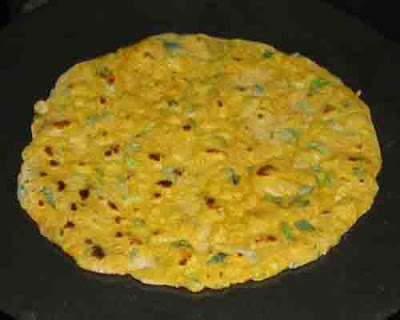 Usually, paratha is made by using stuffing method or mix and roll method. The mix and roll method is very easy, simple and quick. 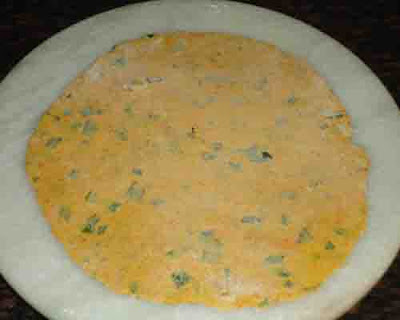 Even you can prepare the dough well in advance and keep in the refrigerator to make and serve hot parathas as and when required. 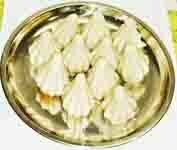 Here I have used six spring onions along with bulbs for a cup of wheat flour. 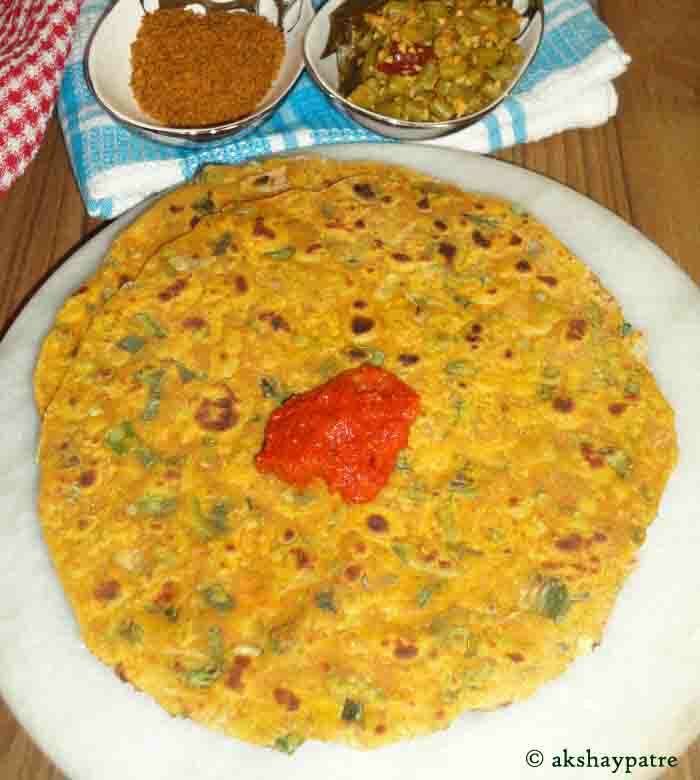 The taste and flavour of the paratha differs on the quantity of spring onions that you use. You can use some more spring onions in this recipe. 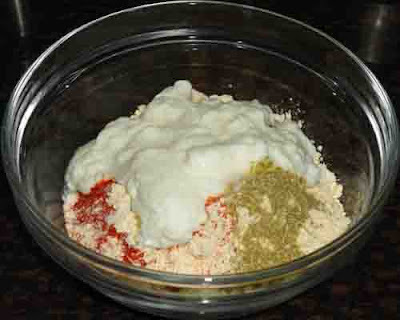 The quantity of other ingredients and yogurt depends upon the quantity of flour and spring onions. However you can adjust the ingredients according to your taste. 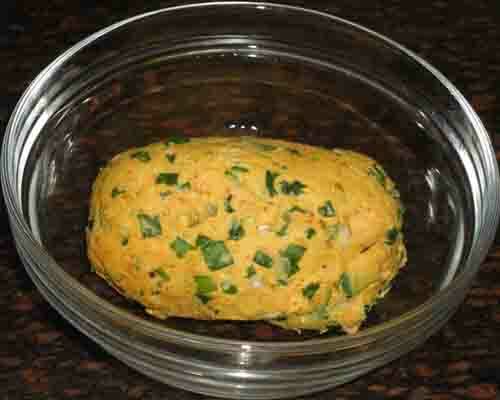 You can also add fistful of chopped coriander leaves and few chopped mint leaves to the dough for extra flavor. I have not used them in this recipe. Also check out some other paratha recipes in this space. 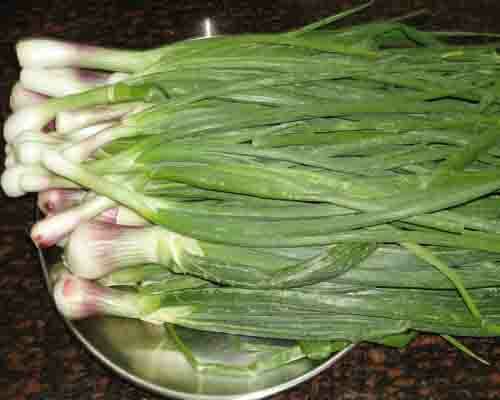 Chop off the root and rough skin of the spring onions. Wash them thoroughly under running water and pat to dry. Chop the spring onions and bulbs finely and set aside. Put the wheat flour and besan in a large bowl. Add the chilli powder, turmeric powder, hing, coriander powder, jeera powder, garam masala and salt. Add the yogurt. Add the chopped spring onions. Mix all the ingredients till they combine well. Knead it to a rolling consistency dough. Do not add much water. Make 5 medium sized balls from the dough. Roll the dough balls into wheat flour and roll it to round roti with a rolling pin. Dust it with some more wheat flour while rolling. Heat a griddle and pour some ghee on it. Place the paratha and pour some more ghee over it. Cook until golden brown spots appear from both sides. 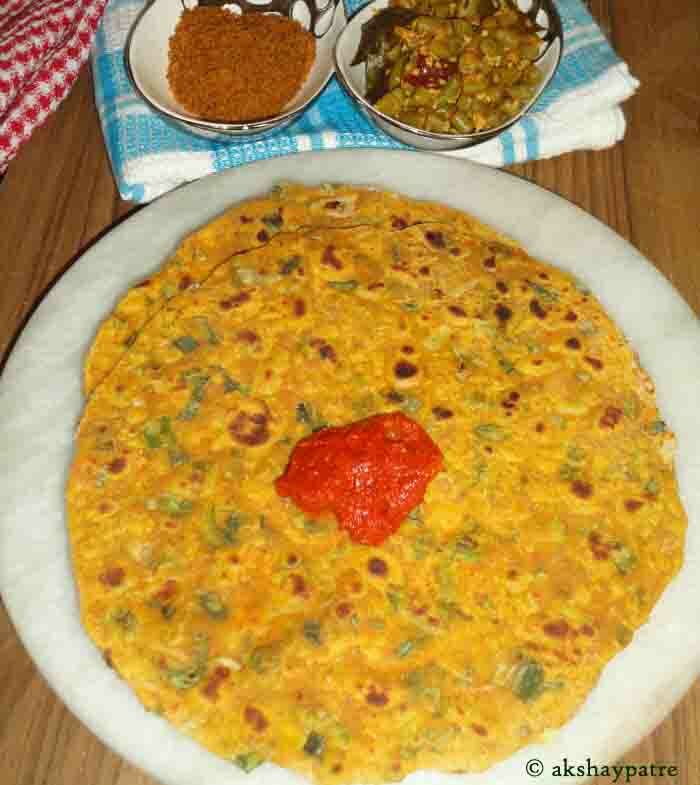 Serve the spring onion paratha hot with choice of your side dish. 1. Chop off the root and rough skin of the spring onions. Wash them thoroughly under running water and pat to dry. 2. Chop the spring onions and bulbs finely and set aside. 3. 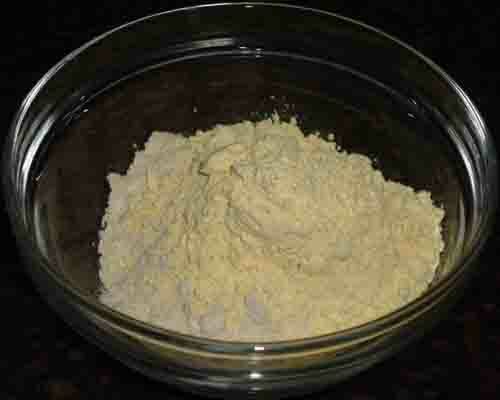 Put the wheat flour and besan in a large bowl. 4. 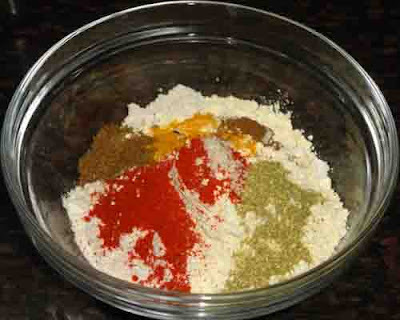 Add the chilli powder, turmeric powder, hing, coriander powder, jeera powder, garam masala and salt. 6. 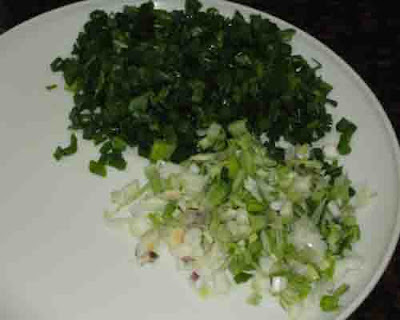 Add the chopped spring onions. 7. Mix all the ingredients till they combine well. Knead it to a rolling consistency dough. Do not add any water. 8. Make 5 medium sized balls from the dough. 9. 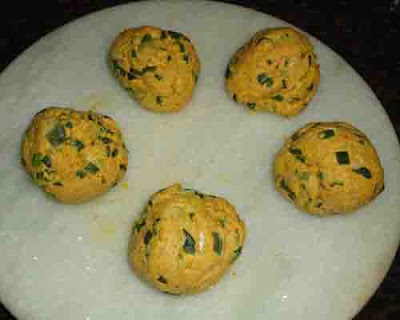 Roll the dough balls into wheat flour and roll it to round roti with a rolling pin. Dust it with some more wheat flour while rolling. 10. Heat a griddle and pour some ghee on it. Place the paratha and pour some more ghee over it. Cook until golden brown spots appear from both sides. 11. Serve the spring onion paratha hot with choice of your side dish. inviting Spring onion veg paratha..nicely done.. This is really a good spring onion paratha that I can try. This onion paratha is religiously prepared breakfast in our house. My all favorite! You made this awesomely delicious! Love the way you have explained this recipe.